We stock all the brands to help you choose the most appropriate scooter for your individual requirements. 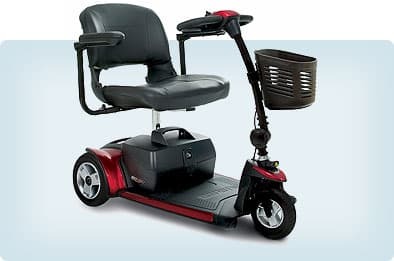 Want to have the freedom and maneuverability to do what you want? Three wheels give you the flexibility while assuring you the stability. We have tall tills to suit tall persons. Want to take it to the local shops? A range of rear and front side carry bags help you to do your daily chores with ease and convenience. Distance is no longer a problem. We have scooters that will travel up to 40 km and can take appropriate weights. If you are after style and comfort here is what you must be checking out. In one of the largest showrooms in the city you will find a wide range of scooters and power chairs. You are certain to find one that meets your needs. We understand mobility scooters and power chairs. Our highly experienced team will guide you to the most appropriate equipment after understanding your unique requirement. We have an excellent service team, should you need it at any time. Expertise: We understand mobility scooters and power chairs. We have an excellent service team, should you need it at any time. I’D LIKE TO FIND A SCOOTER NOW!